Two Iranian knowledge-based firms have managed to produce and export Nano-Antibacterial towels to Iraq and Canada. Being built on the technical know-how of Nanoparticles, the towels are capable of removing bacterium and fungus without triggering any type of skin allergy. “To produce the towels, the Iranian scientists have used Silver Nanoparticles,” Hasan Eslahi, one of the members of the Iranian scientific team which has produced the towels was quoted as saying in a report by ISNA. He went on to say that Silver Nanoparticles are mass produced inside the country and added the particles are added to the fibers of towels during the washing stage. The new towels can remove various bacterium like Escherichia Coli widely (E Coli) and Staphylococcus Aureus (S Aureus). They are made one hundred percent of cotton fibers and absorb more amount of water compared with their ordinary types. The towels have been produced at the request of a growing number of consumers. So far, the knowledge-based firms have received several orders by several hotels to produce at least 10 tons of the towels. The new product has an anti-fungi feature as well. 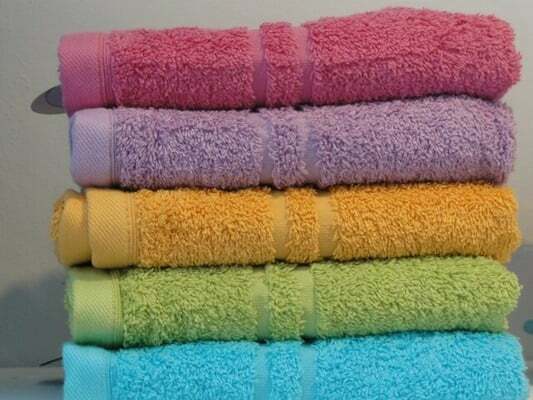 Various tests show that the towel lose its anti-bacterial feature after being used for 100 times.